The following quiz is a list of some of the most challenging problems that require the use of the Sine Law and Cosine Law. 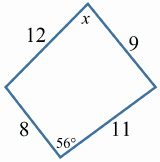 Given the following diagram, what is the value of angle “x”? 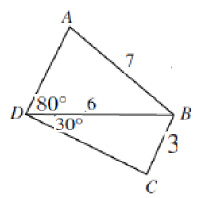 What is the value of the smallest angle in this triangle? 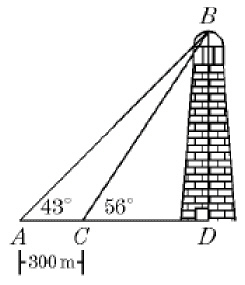 Give your answer in degrees with one decimal place.